Karma, from the Sanskrit, means "to do." Karma is simply the golden rule: what you give out is what you receive. 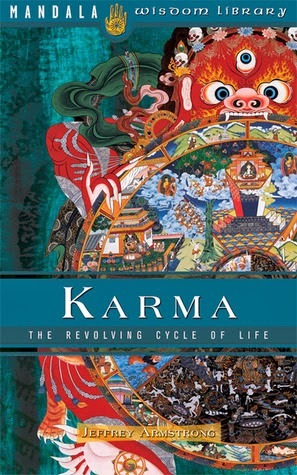 Jeffrey Armstrong introduces the science of karma, reincarnation and the ways in which cause and effect control our lives. Individuals go through certain processes and accompanying experiences throughout their lives, which they have chosen, and are based on the results of their own creation. Karma is not about retribution, vengeance, punishment or reward; it simply deals with what is brought on by the purposeful action of devas, or divine beings. The "Law of Karma" is central in Hinduism, Ayyavazhi, Sikhism, Buddhism, and Jainism (religions born in Nepal and India). Understanding karma broadens our spiritual wisdom and reveals the profound interconnectedness of all life. Jeffrey Armstrong is a visionary, spiritual teacher, and the founder of the Vedic Academy of Sciences & Arts. As a charismatic guest speaker, lecturer, or speaking on his award-winning book, "God the Astrologer", he is a sought after guest on television and talk radio. If there is one thing that I loved the most about this book is that it reinstated my faith in Karma. I have always been a very strong believer in Karma though recent activities around me actually challenged my doubts about it to quite an extent. Reading self help is something I have thoroughly enjoyed especially when it comes to spirituality as it is a different experience altogether. I cannot thank the author enough for this book and of course a special mention to the publisher Jaico for sending it across. It came to me at a time when all the good that I had done so far stood as it is while the bad seemed to multiply and come back to me with a vengeance of its own. I was disheartened and had lost faith on all that was happening around me. I was beginning to question God and Karma. This book in its unique manner made me believe that Karma exists with all its beauty hidden amidst the ugliness of the world and it’s just a matter of time for it come out in its full shape and form. Beautifully written an out of the world experience, this is one book I am going back again and again and again. And is a crown in my personal library to be cherished and shared with loved ones. 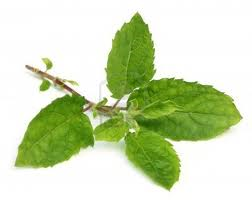 This book is like Tulsi leaves - good for your health, mind and soul in every way!